Size: Single core 2.5,4,6,10,16,25,35 & 50 Sq. mm. All type of LT/HT & flexible cable of XLPE/PILC/PVC from 1.1 kv and all ranges bearing ISI marked. We Manufacture different types of cables such as DIN 72551 Part 6, JASO D611-94 Cables, IS 2465-1984, IS694, JIS C-3406-1987. These cables are insulated wire having a protective casing and are used for transmitting electricity or signals. All range of Aluminum cables of 1.1 Kv grade to 33 Kv grade. Specifications. 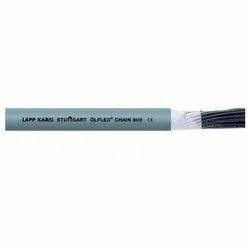 KEI also manufactures other types of cables like LT power cables and low voltage cables among others that you will find in our listed catalogue. 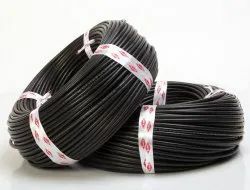 All types of cable available like brand polycab wire, Finecab wires, KEI cables etc. Sterlite Technologies offers a comprehensive range of data cables for a variety of applications in structured cabling. Supported by manufacturing facility at Dadra, India, Sterlite's range of data cables delivers superior performance in data transmission and performance reliability. From order inception to final audit, Sterlite is committed to unequalled customer satisfaction.